Who exactly is behind these marijuana lawsuits in Colorado? Three of the four marijuana lawsuits filed against Colorado officials and businesses were organized and at least partially funded by out-of-state anti-drug organizations and socially conservative law firms, a Denver Post analysis shows. 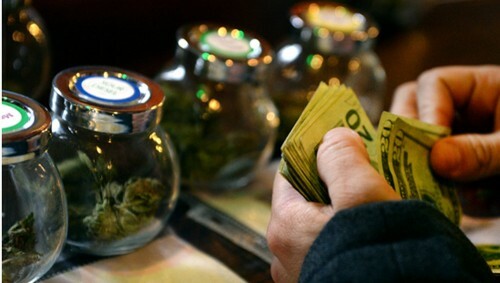 For those who oppose Colorado’s marijuana laws, the out-of-state money offers a chance to fight back against what they characterize as a well-heeled marijuana lobby that changed public opinion with misleading messages. But supporters of the law that made the recreational use and sale of marijuana legal in Colorado say the money gives outsized influence to secretive coalitions of drug-rehab professionals, for-profit prison owners and others with a financial stake in keeping pot illegal. 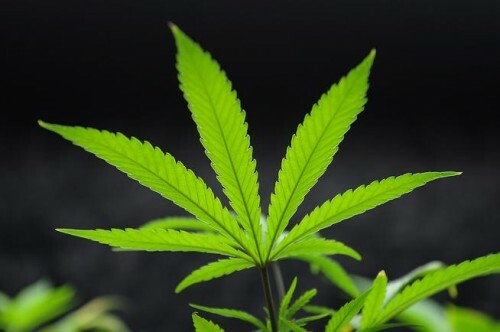 The lawsuits, which make allegations of racketeering and claim that Colorado’s pot laws violate the U.S. Constitution, represent the opposition’s last-ditch effort to put the brakes on recreational marijuana legalization before five other states vote on the issue in November. The lawsuits are known by plaintiff-oriented nicknames. There’s the “sheriffs’ lawsuit,” the “horse ranchers’ lawsuit” and the “Nebraska and Oklahoma suit,” the latter of which was filed by the states and claims federal law’s supremacy over state law. The fourth case, the “Holiday Inn lawsuit,” was dismissed in December, after the defendant pot shop closed and two of the non-cannabis companies it did business with paid a $70,000 settlement. Matthew Buck, an attorney for six defendants in a racketeering case filed on behalf of Pueblo County horse ranchers, says gathering local plaintiffs gives the lawsuits instant public legitimacy and legal standing. “It’s easier to pitch these lawsuits as local sheriffs getting together to file a lawsuit rather than saying it’s East Coast, right wing, oftentimes evangelical organizations pumping money into these lawsuits to affect local politics,” Buck said. The sheriffs’ lawsuit cites the U.S. Constitution’s Supremacy Clause to argue that because use and possession of pot remains a federal crime, Colorado cannot allow people to possess or use marijuana and cannot license stores to sell it. Some of the involved sheriffs and county attorneys had thought about suing, individually and in groups, but didn’t know how to fund the cases — until an unfamiliar attorney named Mark de Bernardo came calling. De Bernardo, a partner in the Washington, D.C., office of Am Law 100-ranked firm Jackson Lewis, is an authority on drug testing and related workplace issues. He is the founder and executive director of the Institute for a Drug-Free Workplace, and he also founded the now-defunct Foundation for Drug Education and Awareness. He has written 19 books, mostly on drug testing and workplace substance-abuse prevention, according to his bio. “I have a presence on this issue,” de Bernardo told The Post recently. But how did that presence expand into Colorado? The talks started among a coalition of anti-drug colleagues that de Bernardo declined to identify. De Bernardo considered a number of potential plaintiffs, including a group of Colorado public schools keen to sue the state. The sheriffs and county attorneys, he said, had the best chance of successfully suing Colorado officials and overturning the state’s recreational pot law. “I’m glad that some people who disagree with the legalization of marijuana have stepped up and spent their money to try and affect that,” said Mark Overman, a plaintiff and sheriff of Scotts Bluff County in western Nebraska. He said national legalization activists far outspent the opposition during the Amendment 64 campaign. University of Denver law professor Sam Kamin agrees with Overman on the anti-drug lobby’s sudden motivation. De Bernardo said he and his colleagues — not the plaintiff sheriffs or county attorneys — are covering all expenses related to the lawsuit, by providing pro bono legal services and money contributed by the coalition. De Bernardo would name only two donors: himself and his wife. The other donors, he said, are former heads of the Drug Enforcement Administration and the White House’s Office of National Drug Control Policy, “people who have been involved in the criminal justice system. But Yuma County Sheriff Day identified one of the suit’s funders: Florida-based Drug Free America Foundation, which has Republican presidential candidate Jeb Bush on its board and a direct link to the Straight Inc. chain of Drug War-era rehabilitation clinics that were shut down after allegations of sexual, physical and psychological abuse of teenage clients. Fay said she couldn’t name other coalition members without their permission, but said some live in Colorado. Fay said she expects more lawsuits to be filed against Colorado and other pot-legal states, perhaps related to the use of banned pesticides on marijuana or to traffic fatalities involving marijuana-impaired drivers. The horse ranchers’ suit and the now-dismissed Holiday Inn lawsuit both made claims under the Racketeer Influenced and Corrupt Organizations Act, a federal anti-mob statute meant to stop organized crime from infiltrating legitimate businesses. In the Holiday Inn suit, a Summit County hotel owner sued a pot shop that hoped to open across the parking lot, as well as companies that it did business with, including a bank, accountant and insurer. In the Pueblo County case, ranchers hoping to stop construction of a nearby cannabis cultivation facility sued Gov. John Hickenlooper, the Pueblo County Commission and the head of the state Department of Revenue. Both suits included a common plaintiff: Safe Streets Alliance, a Washington, D.C.-based anti-drug organization chaired by James Wootton, a former appointee in President Ronald Reagan’s Justice Department. “You might imagine, it’s not hard to find property owners in the state of Colorado who own property that is proximate to marijuana facilities and believe they’ve been injured,” said Brian Barnes, an attorney with Cooper & Kirk, the Washington, D.C., law firm representing Safe Streets Alliance. Like the sheriffs’ lawsuit, the racketeering claims aim to stop recreational pot in its tracks, but to do it, they are going after companies doing business with legal cannabis companies. “We’re putting a bounty on the heads of anyone doing business with the marijuana industry,” Barnes told The Associated Press last year. Barnes recently clerked for conservative U.S. Supreme Court Justice Samuel Alito. Calls and e-mails to the owners of the Holiday Inn in Frisco went unreturned, and Pueblo County horse ranch owner Hope Reilly declined to comment. But others involved in the racketeering lawsuits argue that the hotel owners and ranchers were recruited by Safe Streets. “This is being pushed and apparently funded by an anti-marijuana group in D.C.,” said Pueblo County Commissioner Sal Pace, a defendant in the ranchers’ lawsuit. Court filings show the hotel owners and ranchers are members of Safe Streets, but Barnes would not say when he first met them or when they became members. He also would not say who is covering their legal expenses. Buck, the attorney representing defendants in the ranchers’ suit, said he’s suspicious of Safe Streets’ origins. Even de Bernardo, the sheriffs’ lawsuit attorney, hadn’t heard of Safe Streets before the organization launched its lawsuit. “Prior to this, I wasn’t aware of them,” he said. Multiple e-mails to Safe Streets and Wootton went unreturned, and interview requests for Wootton were denied.